Michael Praed is returning to the tour of the Sound of Music to play Captain Von Trapp for just one date when it visits the Norwich Theatre Royal from 9th-20th August. He will star alongside former Emmerdale star Verity Rushworth. 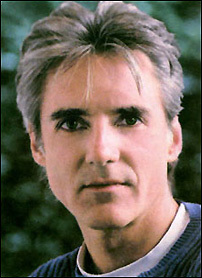 Michael Praed has already toured with this production and left earlier this year when Jason Donovan took over the role. He has appeared in a range of West End productions including Aspects of Love and The Pirates of Penzance.